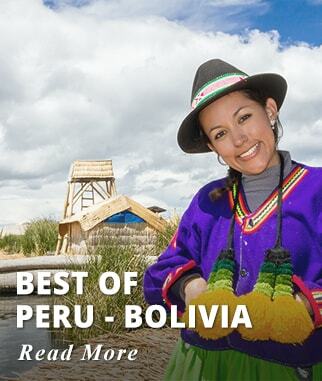 Accommodations in Lima, Cusco, and Sacred Valley with breakfast daily. Sightseeing highlights: City Tour of Lima, City Tour of Cusco, visits to Awanacancha, Pisac Market, Ollantaytambo Fortress and the Citadel of Machu Picchu. 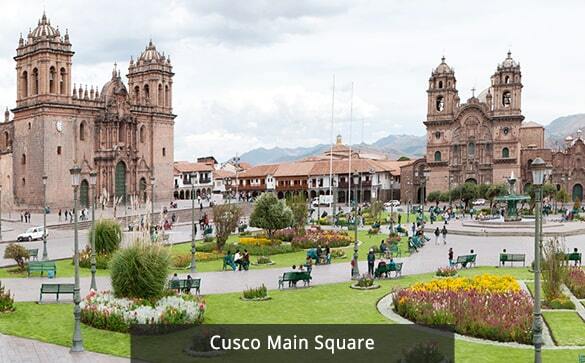 Also included a free day in Cusco to explore on your own. All departures are guaranteed, we offer small groups from 2 to 15 passengers. Our prices include entrance fees, all transfers including expedition train to Machu Picchu, and all taxes there are no hidden costs. This Price is valid for Arrivals: May 04, June 01, 29, July 20, Aug. 03, Sept. 07, Oct. 05, Nov. 16, & Dec. 14, 2019. 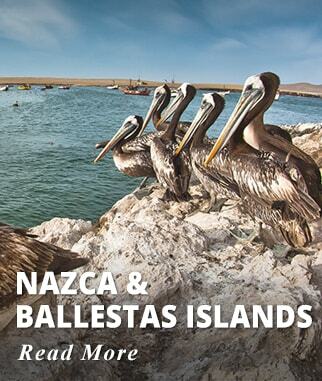 Other departures are available from USD 399 an up extra. Price is for Land Only Package and does not include International flights. Only Domestic flights within Peru. Prices are per person based on double occupancy. Single Supplement is USD 299 or CAD 379. Arrive in Lima Peru. Our representative will meet and assist you with transfer to your Hotel. American and Canadian Passport holders do not need a Visa. A valid passport is required, your passport has to be valid for 6 months past your return date. Rest of the day at leisure. Accommodation: Hotel El Tambo II Lima or similar. Upgrade at an extra cost to: JW Marriott Hotel Lima or Similar. Meals included today: No Meals. Activities included today: Arrival in Lima. Between 14:00-14:30 you will be picked up for your half Day Lima City Tour. Visit the modern and colonial parts of the city of Lima the "City of Kings," beginning in the districts of Miraflores and San Isidro. 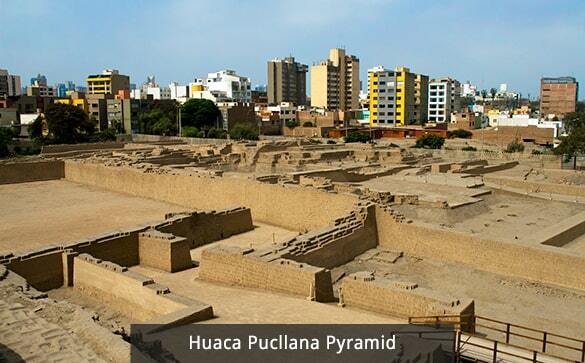 Pass by La Huaca Pucllana, the famous sacred pre-Inca site. 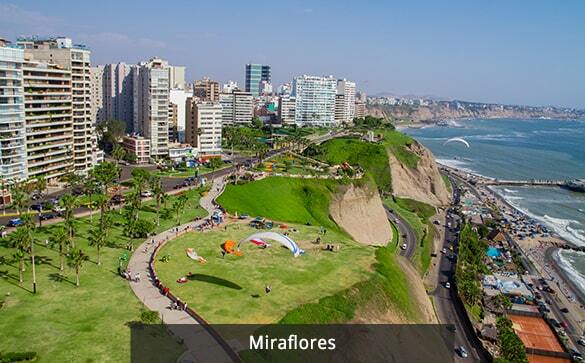 There will then be a stop in Miraflores for a magnificent view over the Pacific Ocean. 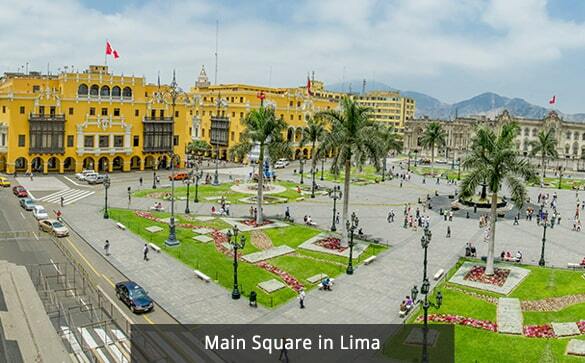 The tour also includes the Historic Centre based on the Main Square, where the Presidential Palace, the Archbishop´s Palace, the Municipality of Lima and the Cathedral are located. Accommodation: Hotel El Tambo II Lima or similar. Meals included today: Breakfast. 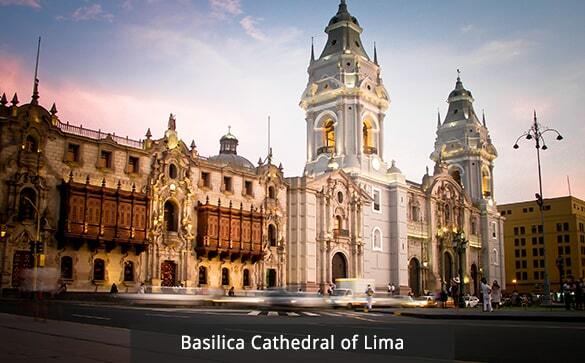 Activities included today: Half day City Tour of Lima of Old and Modern Lima. After breakfast transfer to the airport for your flight to Cusco. Upon arrival in Cusco one of our representatives will meet you, and then you will be transferred to the Sacred Valley of the Incas. 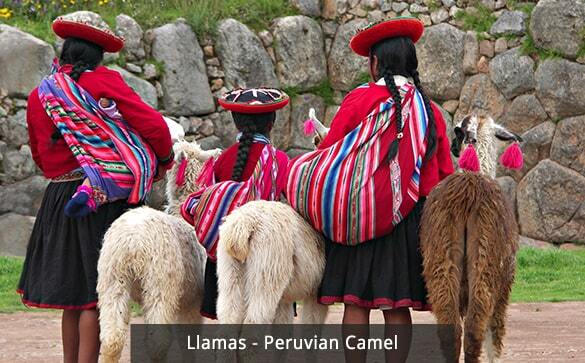 Sacred Valley allows better acclimatization for its lower altitude compared to Cusco city. Rest of the day at leisure to rest and get used to the altitude. Accommodation at Hotels: San Agustin Urubamba Hotel or Similar. Upgrade at an extra cost to Inkaterra Hacienda Urubamba Hotel or Similar. 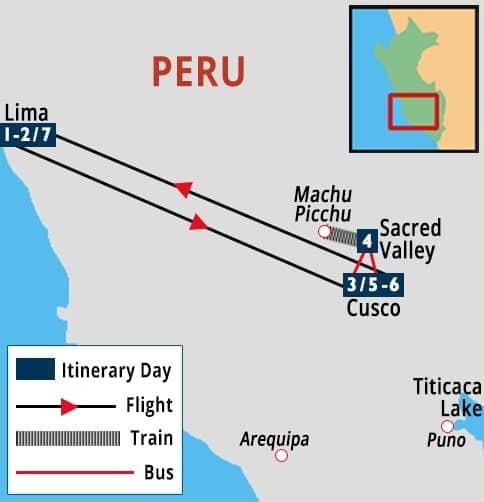 Activities included today: Travel by air from Lima to Cusco. Transfer to Sacred Valley. Discover the best of the Sacred Valley of the Incas through this route starting on the Inca's Balcony, a beautiful terrace with an impressive view of Chinchero, where twelves families still preserve their traditional costumes, showing you the old way in which they process the wool, and obtain those vivid colors for their textiles. Afterward, we will get to Ollantaytambo, one of the most monumental architectural complexes of the ancient Inca Empire, one of the few places where the Spanish conquistadors lost a significant battle. Very well known for its "Andenes" (terraces dug into the slopes of mountains for agricultural purposes), Ollantaytambo was a highly effective fortress that also served as a temple. Then, we will follow to the town of Ollantaytambo, "the unique living Inca town": the best surviving example of Inca city planning, with narrow cobblestone streets that have been continuously inhabited since the 13th century. Transfer to Ollanta train station and departure to Aguas Calientes. 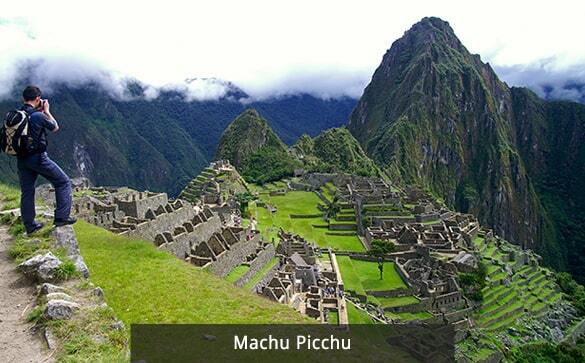 Also known as Machu Picchu Town. Since Machu Picchu is only a few miles away, Aguas Calientes is the gateway for visitors on their way to the famous Machu Picchu Citadel. Accommodation at Hotels: El Mapi by Inkaterra Hotel or Similar. 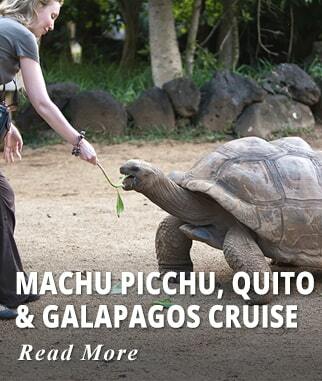 Upgrade at an extra cost to Inkaterra Machu Picchu Hotel or Similar. Meals included today: Breakfast and Lunch. Activities included today: Tour de Sacred Valley. Visit the Town and Fortress of Ollantaytambo. Travel by Train to Aguas Calientes. 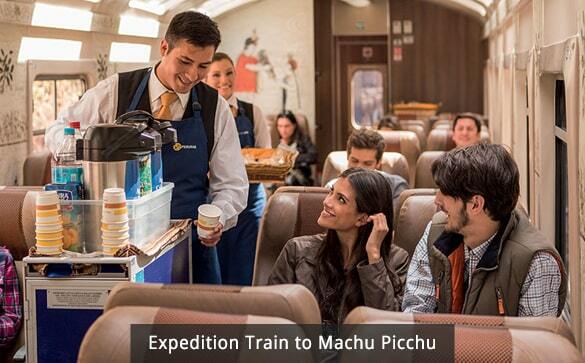 You are going to visit one of the most important energy centers of the world: Machu Picchu. 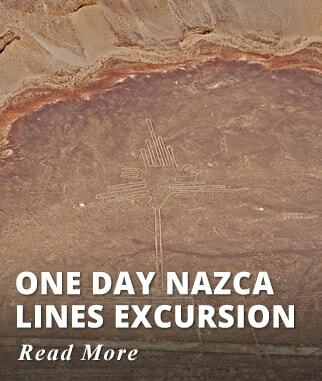 You will be driven to the archeological site, the visit of which will be an unforgettable experience, with a professional tour guide to impart to you all the history that surrounds this mysterious and enchanting place. The great mountain-top city abandoned by the Inca Empire, reclaimed by the jungle and lost to humanity until its rediscovery in 1911. The legendary 'Lost City' is without a doubt one of the world's most impressive archaeological sites. Built by the Incas on the summit of "Machu Picchu" (old peak), overlooking the deep canyon of the Urubamba river. It sits on a mountain site of extraordinary beauty, in the middle of a tropical mountain forest; Machu Picchu was probably the most amazing urban creation of the Inca Empire at its height, with its giant walls, terraces, and ramps, which appear as though they have been cut naturally in the continuous rock escarpments. Return to the Town of Ollantaytambo by Expedition Train; Continue by road to Cusco. Accommodation at Hotels: Eco Inn Cusco Hotel or similar. Upgrade at an extra cost to Palacio del Inka or Similar. 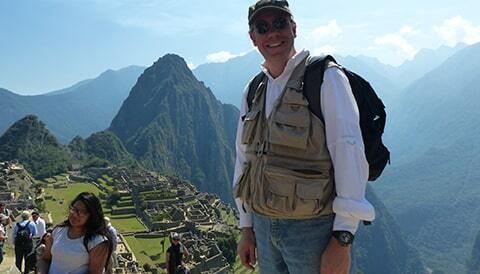 Activities included today: Tour the ancient Inca Citadel of Machu Picchu. Today enjoy a day at leisure to explore the surroundings or add an optional tour. 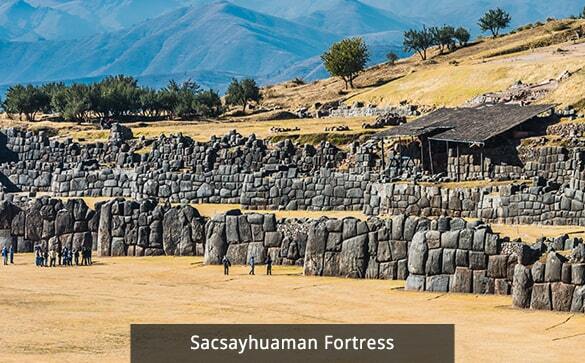 PM CITY TOUR, SACSAYHUAMAN & ARCHEOLOGICAL SITES: Tour this incredible colonial city, whose buildings the Spanish constructed on top of the foundations of Incan palaces. 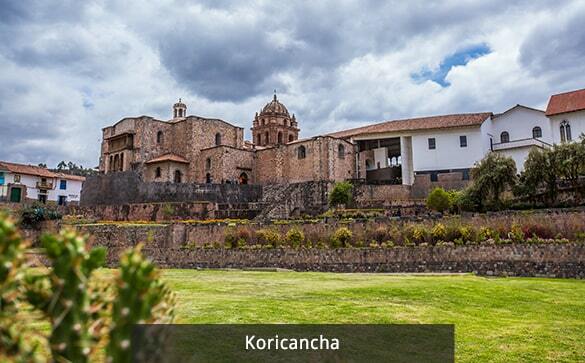 You begin at the Korikancha, the Temple of the Sun, to witness the exquisite stonework achieved by the Incas. Next stop is the Main Square for a tour of the Cathedral to see its fabulous wood carvings and impressive altars and the lovely Church of La Compañia de Jesus (Society of Christ). Following that, you head upwards to Sacsayhuaman, a fortress located in a strategic spot high above the city with a view that is stunning. You will also visit some other archaeological complexes such as Kenko and Tambomachay, and you will have a panoramic view of Puca Pucara. Activities included today: Free day at leisure in Cusco. Transfer to the airport for your return flight via Lima. Domestic Flight Transfer Lima - Cusco - Lima. 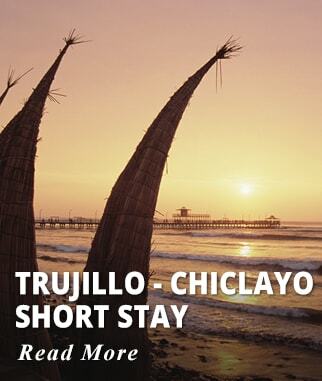 Two nights of accommodation at El Tambo II Lima Hotel or Similar. One night of accommodation at San Agustin Urubamba Sacred Valley Hotel or Similar. One night of accommodation at El Mapi Machu Picchu Hotel or Similar. Two nights of accommodation at Eco Inn Cusco Hotel or Similar. Half day Morning City Tour of Lima. 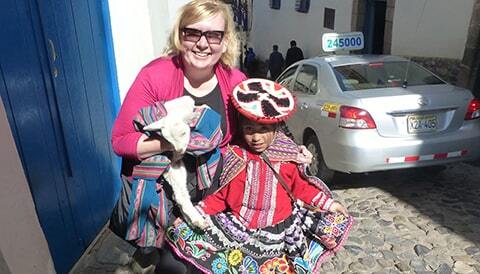 Visit the Village of Chinchero. 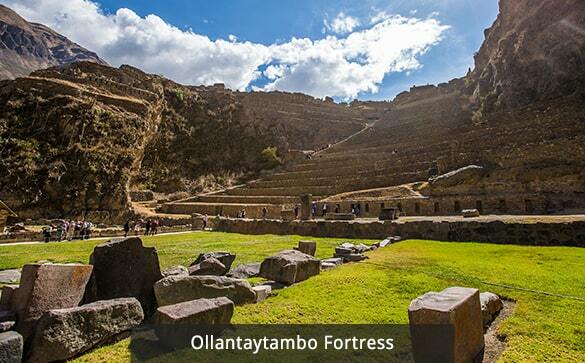 Visit the Town and Fortress of Ollantaytambo. 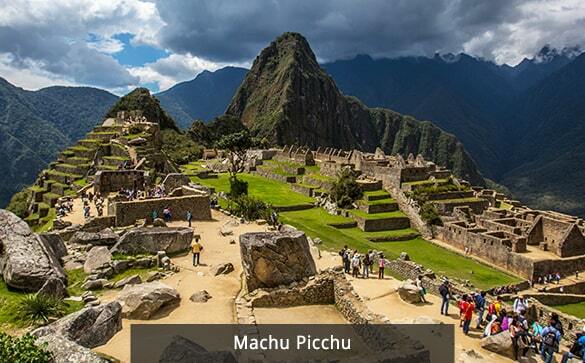 Tour the Ancient Citadel City of Machu Picchu. Free day at leisure to explore Cusco. An English Speaking Official Guide provides all sightseeing tours. Meet and assist representative services. Expedition Train transfer Ollantaytambo - Machu Picchu - Ollantaytambo. Customary tips to driver, guides, hotel staff, etc. Airline Advance Seat Selection Fees. We enjoyed the trip and are impressed with all our arrangements and accommodations! 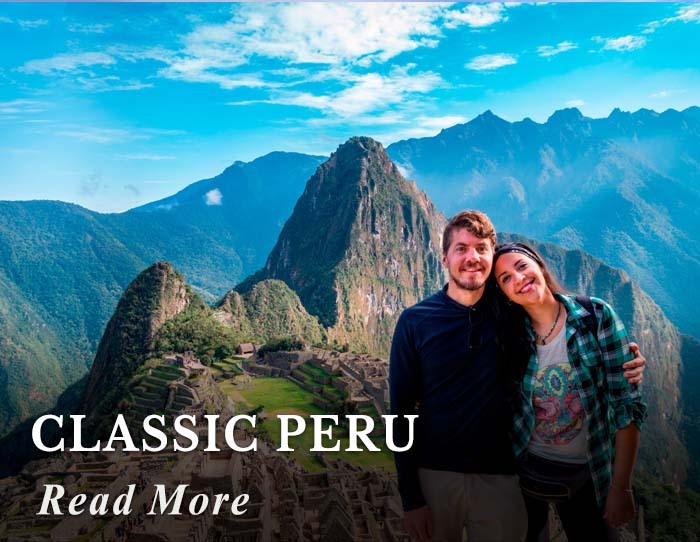 We returned Sunday from our vacation in Peru that we booked with your company, and we wanted to let you know how much we enjoyed the trip and how impressed we were with all our arrangements and accommodations. We were picked up promptly on each occasion whether from airport/hotel etc. Each driver and rep were courteous and friendly - too many names to remember! but Omar and Ronald were great. Special mention to the young man who picked us up at 5:30 am in Cuzco and drove us to the train for Macchu Piccu and then picked us up later in the evening and drove us back. Our city tours of Lima and Cuzco, as well as our day in the Sacred Valley and then Macchu Piccu went very smoothly. 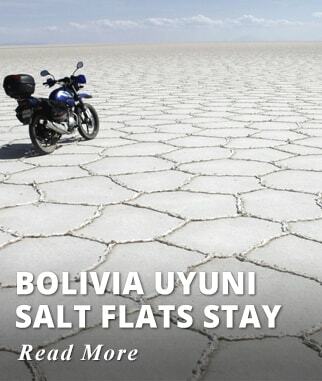 It was our first trip to South America and will not be our last. As I'm sure you both know, Peru is a beautiful country with wonderful food and people. I would recommend this trip to anyone. I recommend everyone see Machu Picchu once in their life! We had a wonderful time in Peru. Thank you so much for arranging this trip for us. 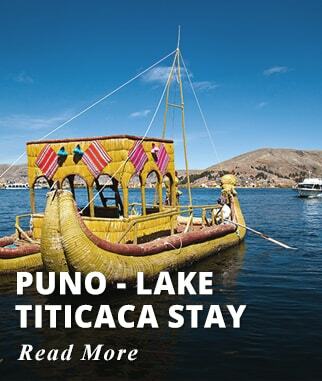 I regret not going to Lake Titicaca. The hotels were wonderful, transportation and ground service were flawless, and tour guide were exceptional. We were treated royally. With many, many thanks for your effort and the efforts of all in Peru to make this a wonderful trip. We learned so much about the culture and will look forward to going again. I recommend everyone see Machu Picchu once in their life. Copyright © 2003 - 2019 traveldiscounters.ca. All Rights Reserved. Toronto, Ontario, Canada.